INTRO AND NUTRITION – Beginner-friendly! VERY detailed & lengthy! A good lengthy if you are interested in learning & making a lifestyle change as most of us are! She covers everything from motivation to flexible-dieting. She adds things that girls can relate to like “how to keep clear complexion” –because you know katy’s going to make us sweeeat in the gym! She answers most if not all questions you have in her “FAQ” section –she so creative I love her lol (I’m sure getting the same questions over & over & over gave her the idea) Nutrition was my main concern when I purchased the program, but she thoroughly goes through that plus provides sample meal plans, “starter” grocery list and much more. Easy to follow & clearly labeled; what to do 1st,2nd, etc. Each week is a different training split which keeps things exciting! With every exercise she has a description or hashtag which will show her demonstrating –my favvv! Sets & reps are always included. I’m a proactive person, so if I ever felt unsure of an exercise or term I would google or YouTube it! For example, I didn’t know what “slow on the negatives” meant but now I do! Coming across and participating in Katy Hearn’s challenges has made a huge impact on my life. 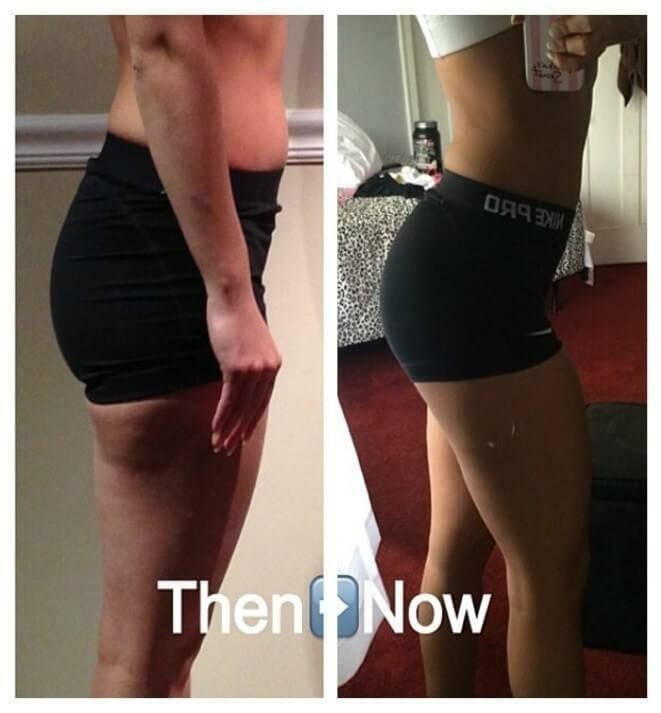 Her Instagram served as motivation for me to get in the gym (although I was clueless, intimidated, & new to anything & everything fitness related) because she displayed through progress pictures just how much you can change your body through diet & training! Katy stands out amongst all females in the industry mainly because she is not sponsored or at least doesn’t bombard IG with supplements -she stresses the basics; good diet & training will always bring you results. Lucky for me, she came out with the #khsummerchange not long after I started following her, so I knew it’d be a great way for me to learn and get an opportunity to train like someone who had now become an inspiration to me. The #khsummerchallenge had so much information and was very easy to follow. I made a separate Fitness Instagram after noticing the trend of all the other girls who were participating. Plus the hashtag itself is an amazing idea; you display your hard work so Katy sees and you get feedback from others which is so motivating. I’ve always had the determination but lacked the knowledge. What muscle group to train? How many sets? What weight? The challenge answered everything, if not more. Katy’s interaction with “liking” & commenting pictures was like an ahhhh moment #girlcrush! Throughout the challenge you take progress pictures and notice small and big changes -nonetheless CHANGES! You get to a confidence level sorta cocky- but yet you want to spread this feeling to all girls because we truly deserve to feel that way in our own skin. At the end of the 2 months I was so happy with how much my body transformed & to say I fell in love with fitness and all it entails is an understatement. I still remember taking my final “After” pictures and trying to flex every muscle I had at one time! The struggle! Whether I won or not, I had won -I won an amazing trainer who I will always be grateful for and I won a new lifestyle. ( I did win! ) I’ve since then have found a passion for fitness and have continued to purchase Katy’s challenges! Thank you Katy for the tools you’ve provided me over the year to led me into a new lifestyle.